Having picked up a clutch of World Travel Awards at Hilton Seychelles Hotels is on a role. Here Breaking Travel News sits down with cluster general manager Claus Steiner to discuss what is on offer in the destination from this world beating brand. Breaking Travel News: Thanks for taking the time to speak to Breaking Travel News Claus. Perhaps we could begin with an overview of the Hilton offering out in the Seychelles? I believe you have three properties in the region? Claus Steiner: The Seychelles is one of the world’s most breathtaking and spectacular places. It is a privilege to operate, currently, three properties in the Seychelles. 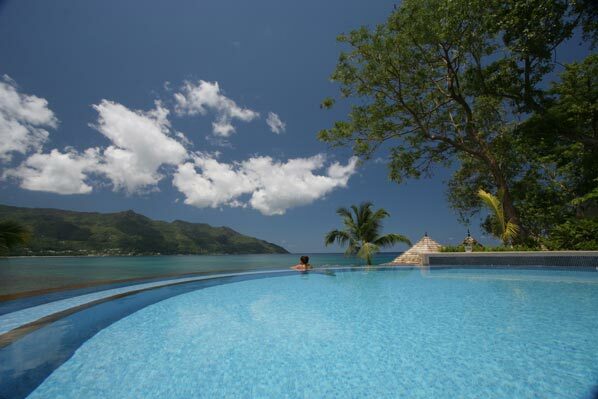 Firstly, Hilton Seychelles Labriz Resort & Spa is located on Silhouette Island, 20 kilometres northwest of Mahé. This luxurious mountainous beach hideaway is sandwiched between a dazzling 2.5 kilometre long white beach with leaning palms over turquoise seas strewn with granite boulders and tropical forest. Only a 20 minute helicopter transfer from Seychelles International Airport, Mahé and a 45-minute boat trip via Bel Ombre Jetty, the resort is home to one of the largest nature reserves and National Marine Parks in the country. Guests can choose from three villa categories, from Garden Villas, to Beachfront Villas to Deluxe Hillside Pool Villas and Deluxe Beachfront Pool Villas. Families, nature lovers, divers, adventure-seekers and romantics can all find a haven at Hilton Seychelles Labriz Resort & Spa. 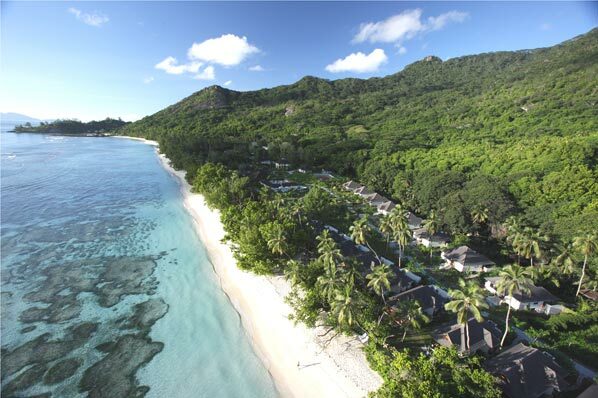 Next, Hilton Seychelles Northolme Resort & Spa is the smallest Hilton resort in the world. A favourite haunt of James Bond creator Ian Fleming, who was inspired by Northolme while writing ‘For your Eyes Only’, the upscale Hilton Seychelles Northolme Resort & Spa is a secluded hideaway nestled among the hills and coves of Beau Vallon Bay on Mahé, just a 25 minute transfer from the Seychelles International Airport. Surrounded by lush tropical gardens, crystal-clear azure waters and a hidden white sanded beach cove, this small boutique resort offers true intimacy and privacy from its 40 spacious, luxury wooden-clad villas on stilts. Take in the panoramic views of the Indian Ocean and Silhouette Island from the stunning infinity pool, and live the moment. And finally, since 2014, our newly opened DoubleTree by Hilton Allamanda Resort & Spa in South Mahé is on offer. A cosy hideaway with great value, on one of Seychelles most beautiful beaches, the property is great for families and couples. BTN: These properties were recently recognised by the World Travel Awards as industry leaders. Can you tell us which titles it was you took? CS: We are delighted to have been recognised by World Travel Awards. Hilton Hotels & Resorts itself took the title of Indian Ocean’s Leading Hotel Brand, while Hilton Northolme Resort & Spa was recognised as the Indian Ocean’s Leading Villa Resort and Seychelles’ Leading Boutique Hotel 2014. Meanwhile, Hilton Labriz Resort & Spa was voted Seychelles’ Leading Resort and Seychelles’ Leading Spa Resort by World Travel Awards. BTN: World Travel Awards are an accepted industry benchmark, voted for by both the travel community and the public at large. How does it feel to be recognised by such a wide cross-section of the hospitality community? Do you feel the trophies will be of benefit to the marketing of the Hilton properties in the Seychelles? CS: Our goal for Hilton Seychelles Hotels is to provide our customers with an extraordinary experience and provide excellence in hospitality. To be is an outstanding privilege and a great honour for the hotels and for all our team members. The World Travel Awards for Seychelles are a true testament of relevance in today’s world of tourism and Seychelles’ tireless efforts to position themselves as a regional leader within the Indian Ocean. We at Hilton are really proud to contribute to the overall success of Seychelles this year with these five awards. BTN: You are not resting on your laurels however, with improvements already underway. Can you tell us a little about the Deluxe Oceanview Villas presently being built at Hilton Seychelles Northolme Resort & Spa? CS: Our property truly offers guests already a unique and unforgettable boutique experience, and with the new Deluxe Oceanview Villa category at Hilton Northolme we will add unbeatable privacy in an already stunning location together with the exceptional service our guests expect from a Hilton Resort. Imagine relaxing around your own infinity pool with breathtaking views over the Indian Ocean - it’s a private paradise. BTN: Do you have any other expansion plans you might be able to share with our readers here at Breaking Travel News today? CS: The Hilton Seychelles Hotels organisation has been structured and designed over the last two years to accommodate even more hotels under the worldwide brand. 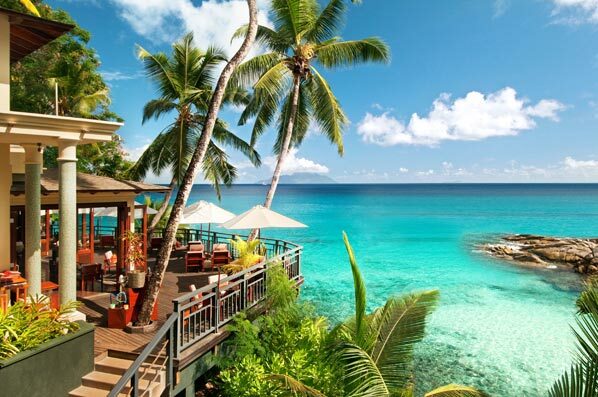 We hope to open up our fourth hotel in Seychelles soon…watch this space! BTN: Who is it you welcome to these properties? Are you seeing the majority of your guests arriving from northern Europe? Or is it more of an Asian driven market? How is this mix changing over time? Although we receive most of our guests from the more traditional European markets - including Germany, Italy and France - we have seen an increase recently in visitors from emerging markets such as China, Russia and UAE. The increase in flights to the Seychelles by Emirates and Etihad should have a positive impact in these markets and we hope to see an upturn in early 2015. BTN: How far is the government of the Seychelles of assistance to tourism in the destination? What more could the authorities do there to support this vital sector? CS: We are very grateful for the support we receive via the Seychelles Tourism Board and the minister of tourism himself. As you can see we all are representing Seychelles as one of the most special destinations on Earth – another world.